Unbeetable is delicious, natural beetroot juice with no caffeine and no added sugar. It is also vegan, gluten-free, and non-GMO. Unbeetable tastes great with all of the health benefits. Beetroot juice has been clinically shown to 1) increase muscle efficiency and endurance, 2) help maintain healthy blood pressure, and 3) increase regional cerebral blood flow in the brain. There have been numerous studies over the past few years supporting the health benefits of beetroot juice. Beetroot juice contains a high concentration of dietary nitrate, which our bodies naturally convert to nitrite and nitric oxide. This is a potent vasodilator in humans that increases oxygen and blood flow to vital organs. A major feature is its ability to increase oxygen and blood flow in areas of hypoxia, precisely in areas where it is needed the most. We recommend drinking 1-3 hours before competition. There is a building effect - I get best results when I drink 1 can a day for the week prior to an event and 2 cans before a competition. Thank you for your support! - Craig Van Horn. Unbeetable was developed in collaboration with doctors and scientists at Wake Forest University. Researchers at Wake showed that drinking beetroot juice daily improved cerebral blood flow to the deep white matter of the frontal lobe of the brain, which is known to be at risk in the elderly and important for cognitive function. Wake also published further studies showing beetroot juice improves athletic performance and decreases blood pressure in COPD patients. 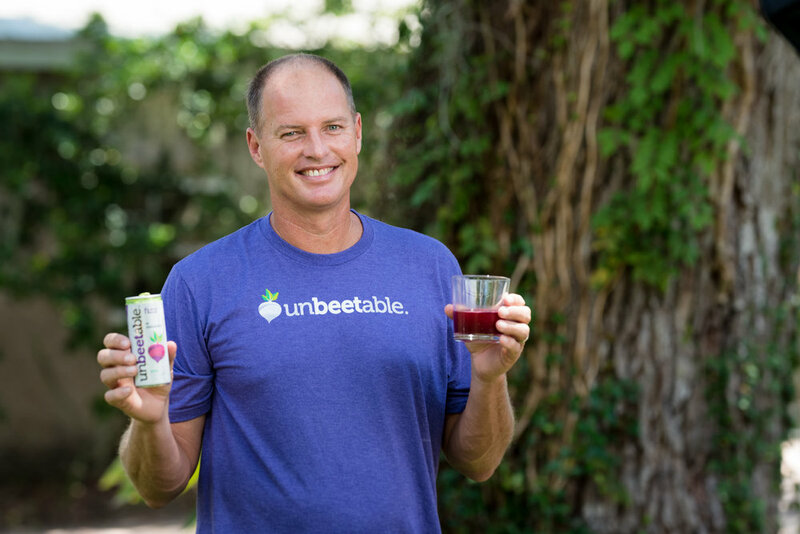 Unbeetable is "the good soda!" Kids love it because it tastes great. Unbeetable is natural beetroot juice with no caffeine and no added sugar. Yes, we are drinking our vegetables. Beetroot juice has been cllnically shown to lower blood pressure and stimulate oxygen and blood flow in the brain. About 3 beets per can. Unbeetable also comes in six-packs.